I was delighted to hear Daniel Levy’s statement yesterday lunchtime after seeing Luka Modric plastered over a number of newspapers saying the time was right for him to leave the club. In all honesty I can’t say I blame Luka as from the moment I saw a paper suggestion that Chelsea would pay £140,000 a week to him I fancied his head might be turned; I know mine would be. But a contract is a contract and whilst Luka may claim that he made an arrangement that should a decent offer come in the Chairman wouldn’t stand in his way he has to get a little bit realistic. Whilst the wages might be the transfer fee is not. What now follows will be interesting. Will Luka put in the transfer request he feels uncomfortable in making? Clearly if he does so it will hurt him financially in the coming months but the extra wages from a new job will soften that blow. Then we have his wish that he remains playing for a London club, probably so that he can stay close to Charlie and not disturb the family. It shouldn’t work like that as we all know but with player power seeming to be what it is anything goes. The Berbatov transfer proved that in many ways with him wanting to go to United but City making a higher bid. Naively, I hope that this is the end of the “crisis” but I doubt that will be the case. One has to hope that if it drags on other clubs outbid Chelsea so that Luka ends up considering a move to a city he doesn’t really fancy. What that bid may end up at who knows. But having watched £18 million Henderson play two games for the Under 21’s and look anonymous on both occasions Luka must be worth at least twice that sum. If Levy is serious – and I hope he is – Luka will have a couple of uncomfortable training sessions but then life gets back to normal. Players understand these matters and whilst a couple might have felt it offered them a better chance of a game if the club gets off to a flying start it will all be forgotten pretty quickly. Luka might then understand that we too would like to win the League and with the right striker signed might make a challenge. If we eventually cave in how bad is that? In honesty it is pretty serious but we might be able to cope. As he settled in Rafa looked comfortable in a similar role and often dropped deep to try and take charge of proceedings. That left us light up front and so a Modricless side would be able to afford two proper strikers and we would certainly have the money to buy a very good one. The Chairman does have other problems to face this summer. His valuations of some squad members is likely to cause him problems as time passes with no Champions League money to contribute towards wage costs if they don’t move on. The squad remains large and with new faces to add quite a bit of business needs to be done. Paper talk suggests that Martin Jol might like to take some of his former squad to Fulham and QPR were rumoured to be showing similar interest. Last year Alan Hutton could have gone to Sunderland but they were unwilling to match our price. This year that attitude will have to change if we are to do business on Hutton, Jenas, Bentley, Keane and Pav. Typically we are in for an interesting period but once again the headlines surround one of our best players leaving rather than an outstanding one being added to the ranks. 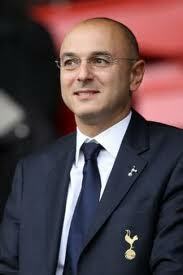 “Trust Me” says Mr Levy – but based upon what? It’s been a big day for the Chairman’s pro Stratford publicity machine and from the interviews I’ve since heard and quotations I’ve read he did pretty well dodging most of the difficult questions that deserved answers. To date I’ve not been convinced by a move to Stratford because there have been no facts presented to us to support the statements being made. However, because I won’t give up on the club if we move does that make me one of the 99% that will support this board? My site has a “Say No to Stratford” banner on it and I still feel that way but I would concede that comments received from you have favoured the move away from our home. That’s fine by me; we are all entitled to our own opinion and the financial strength of the club is the most important thing at the end of the day. But – and there are plenty of “buts” in this discussion – is this not like the Nation being told that “Iraq has weapons of mass destruction ready for firing within 45 minutes” by Prime Minister Blair? When asked to back this up it turned out he could not but by then it was too late. This statement had more flesh added to its bones during today’s round of interviews. We learn that the unviability comes from changes that had to be made to the original planning application. That’s a start but what we need to understand is what the changes are, why they were required and how could architects working for the club on the original plans get them so wrong. You might think this harsh but when you consider that our previous application was viable and the revised scheme is not it must be one heck of an expensive change and therefore one that surely have been included in the first place. Therefore someone has messed up. Either architect or Levy. We should know who in my opinion. Does it also mean we can’t amend it again to make it viable once more? How many football grounds are in a spot that is ideal? I cannot think of many but await your wisdom on the subject. The Emirates is not ideal for example. Leaving at full time is a long haul to get to the tube stations and that may well put off those who leave at 80 minutes to leave earlier. Will it be worth them coming in future but no doubt they want us to move? Is this really true? I think it all depends upon where you are coming from and the decision that you take regarding travel. The indication is for train or tube. All well and good but you cannot get 60,000 people away onto a train station in 5 minutes. We’ve been to Wembley so we already know that therefore I doubt it will improve our situations. Having said that adding another 24,000 at Tottenham will cause further difficulties to the local infrastructure but could an imaginative solution not solve some of that via park and ride? Yes that’s true but how many of those actually attend many games. Let’s see some statistics and support for those members who do regularly attend by using loyalty point cut offs for those big games that everyone wants to see. And why do some games get to general sale with all these people wishing to come along as season ticket holders. I’ve seen some suggesting that we would get 70,000 every week. I’m not convinced whichever option is taken. We go from 36,000 to 60,000 so how much money will this produce for player transfers and wages? We might be surprised by how much or how little it will be but I don’t think we have heard. There is no public money available for the Tottenham development but we can see that despite Mr Levy’s suggestion that no public funding is required £500m is being spent on Stratford by Londoners now so that we can tear out and recycle £80m of it in redesign. Is this not public support? I agree with Mr Levy that this is a traditional athletics home in the UK but would it have been enough to secure us the Olympics? Clearly not or it would have been used! If UK Athletics had asked Spurs to rebuild it as part of any bid then it would receive more support from athletics and sports fans in general. But they did not. In fact the opposite is the case. Everyone wants to perform in the stadium where Bolt won his gold or lost it. 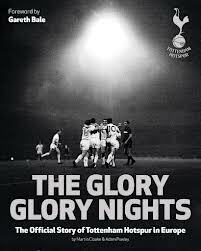 In the same way that Wembley meant so much to Football in England that it had to be done whatever the cost. However, pomposity gets in our way in this part of the argument and gets us offside with everybody else! Sounds a big figure but again easy to say, sounds really good, but how is it worked out? Is a season ticket holder 1 visitor or 20 visitors – assuming we have 20 home games per season? It makes a big difference and this is an easy question to answer. The thing is if it shows a misleading or dubious answer how much does it weaken the remainder of the arguments. Have Newham agreed to allow the road to the stadium to be known as Bill Nicholson Way? Or will it become Martin Peters Walk as he played for both clubs? These are the words of our Chairman. He’s right. He’s told everyone some years ago that the Olympic Stadium design is flawed. 99% of fans will support his board. We’ve consulted more than most people are aware. 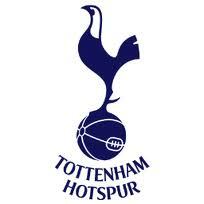 I trusted Mr Levy over his original plans but he got those wrong. Conveniently he’s found a bolt hole but can I trust him to have these ones right? That’s why we need more information and a failure to produce straight facts makes me suspicious. I travel more than 35 miles to a game and I would travel this distance to understand the detail that we have not yet been provided with. I doubt I’ll get that chance. 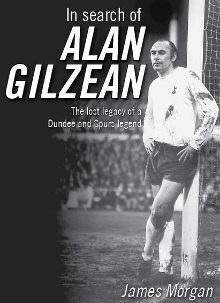 If you haven’t heard Mr Levy’s 11 minute on Talksport please click this link to hear it. If you haven’t seen the BBC video on the subject please click here. The Spurs site also has The Standard interview. Good deals, bad deals, no deals, new strategy needed? As he sat in his office this morning Daniel Levy must have reflected on what a crap month January has been for him. Unfortunately in the lives of Football Chairman a crap January can lead to a feeling foolish February, mad March, agonising April and a moody May as he sees the season disintegrate in front of his eyes with ever increasing frustration shown by the supporters. But it is worse than that, for Daniel has a stadium crisis on his hands with his first choice trumpeted to worshipping fans becoming too expensive and a second option proving unpopular with most in authority. When people adopt the rattled Tony Blair manner and try to bludgeon their points across you can tell they are feeling the pressure and in my opinion DL is trying to remain calm but showing the strain. Yesterday may therefore have been a day of realisation for to me it showed that Daniel is no longer the custodian of our future through the actions of others. Chelsea and Liverpool showed just how strong their desire is to qualify for the Champions League by blowing vast sums of money – one of them a massive gamble – in an attempt to win fourth place. Our retort? A bid for Phil Neville – maybe for Champions League cover – and a last hour bid for Charlie Adam – a player who we may not need. The day before we had been humbled by Fulham in a game that went entirely against our plan. Having searched all month for the striker we craved Daniel put in a number of bids for a variety of players which made it look like we were desperate (maybe we were that night) or that in making them he knew that wouldn’t come off. So January ended without a late Spurs signing but Harry still managed calls with Jim White and the Talksport team. I could say it’s a failure but in truth its not. I would rather we picked up the players we need rather than another body we don’t really need in an effort to placate us fans. We are not stupid and we know when we are adding to an already large (and unfit) squad more players who might not improve us. To do that Daniel will need to change his transfer strategy and what yesterday showed us is that you need really deep pockets to do so and only two ownerships have that; Chelsea and Manchester City, the remainder need it given to them by those owners. To date all too often the strategy has been on adding men who might offer value later on. Kranjcar was signed for a song as his contract was running out. Having not played much and being mid term on a contract his value is much higher which would have meant a profit for the accounts. I saw a figure quoted of £11m on NewsNow during January but even half of that is a pretty good return. To me Pienaar looks more of the same. Useful player decent purchase price who probably won’t play much. If he wants away next summer for a World Cup chance he represents a profit to us. Unfortunately for Daniel, Harry secured us Champions League football a bit quick. Fantastic achievement but it put pressure onto him to keep building a bit more quickly. In August he pulled a supreme rabbit out of the hat with a last minute Van Der Vaart. It could never happen again, Europe is now wise to our tactics! If we remember Leeds they kept pulling out player after player before the house fell down. Our sudden rise up the table puts us in a similar predicament; buy and borrow big. Fans demand it as the quest of regular Champions League football sets in and for the first half of the season we did extremely well. Players rose to the challenge and big games came thick and fast. On top of that those around us were in poor form and not winning games we would have expected. As a result we were handily placed and ready to push on. But the team has momentarily run out of luck and hit a period of poor form just as our opponents picked up. So we needed the boost of a signing but it was not to be. That honour went to Chelsea. Frustrating as we find that it shows one thing, Mr Abramovich is not, when it really matters, prepared to make his club pay for itself as he suggested. It also acknowledges that Chelsea is accepting that their youth policy has not worked as wanted and that big signings are what is needed to keep you in the top 4. With our own youth policy not bearing much fruit we’ve always relied on making big signings but our wage policy is some way behind that of Chelsea and light years behind Manchester City. If we want to compete longterm in the big pond we need to address these issues and I cannot see Enic being the owners to do this. I’m not trying to slate them for this but sometimes you have to face facts. Many people will say with the Olympic Stadium we can put this right but look at the balance sheets of clubs such as Liverpool and Newcastle who lived the dream with Champions League money for a number of years. They’ve not much apart from debts to show for it. A bigger capacity will help us on transfer budgets in future windows but it might not do much for the wage bill it produces. I think it’s official, football has the madness of King George and the top of the Premier League is in ignorance about living within its means so owners need to be billionaires to survive. George got a bit better, as I remember, and so will the game but maybe not before a casualty. We don’t want to be that statistic and I don’t think Daniel will let us become it. Don’t get me wrong I’m not calling for Levy to go. He’s been a good owner and taken the club forward a heck of a way. But in the way that he decided Martin Jol was not good enough to move us any further forward that realisation might be approaching for him when he looks in the mirror. It may all hinge upon the Olympic Stadium decision, it may not, but if he wishes to continue he will need to rethink his strategy for the transfer window to identify only those that will definitely improve us and identify them earlier so that the deals can be put together. Forget a late run on the blind side for late night excitement – we’re past that now. Real value may be harder to achieve from here on in. With an upturn in form anything is possible, without it there’s a long way to go till May. I fancy we’ll play better but hold onto fifth place. That’s about right with this squad if we improve upfront in the summer we can push on once more at realistic pace for our spending money.